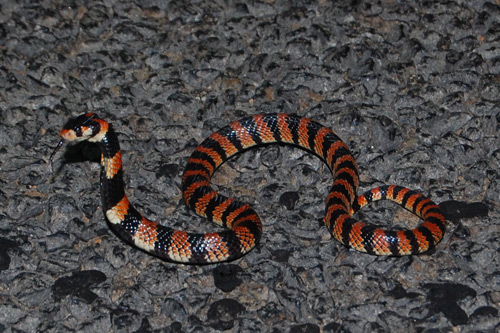 Spent a night in Philippolis on route from the west coast to Durban and found this Coral Snake on the road at night just outside of the town. It was very feisty and I was very pumped up as it was the first Aspidelaps lubricus I have seen in the wild. 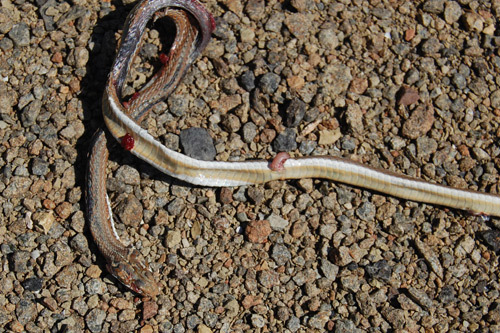 On the way out of Philippolis the next morning I saw this dead Sand Snake, I think the species is Psammophis crucifer, I would appreciate help on the identification of this snake. The DOR is definetly a Psammophis species. Kinda hard to make out wich one. The coral is seriously one of my favourite snakes. Nice finds!! 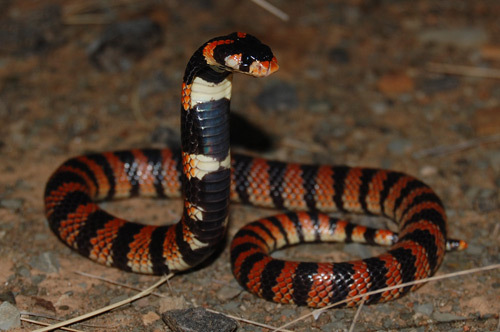 That Coral Snake is nice and dark, very petty.